With over 1,5+ billion monthly active users, Facebook advertisers can pretty much reach whoever they want, whenever they want it. But it’s not all good though, as many advertisers seem to struggle to show their message to the right audience: those who’re potentially interested in their product or service. … many advertisers simply go for a combination of “location”, “age”, “gender” and a few interests. … so being a marketer it’d be a crime not to use that, right? If you want to learn more about how I can help you get: MORE LEADS and MORE TRAFFIC...then watch this webinar. 2. Limited Time: Get FREE access to my Marketing Transformation Course that will transform you into a full-time marketer. 3. Have you seen our full-length documentary story? Watch it now. 4. Want to work directly with me? Looking for help in your current business or looking for a good system that will work for you? Contact us and my team will get right back to you. 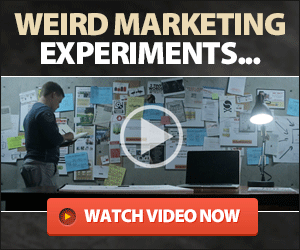 Brand new video will show you how to use this simple system to reach your goals. WATCH THE NEW VIDEO HERE. 5. What is the Top Producer formula for Crushing Results Online? 6. What is the Team Building Formula for Mass Duplication? 7. Have you set your Goals for 2016 Yet? 8. 70% More leads and sales without Increasing Traffic? Here's how. 9. Are you Making these 3 Mistakes in your Facebook Video Marketing?